We offer spacious apartments for rent in and around our dive center (Dahar, downtown Hurghada). 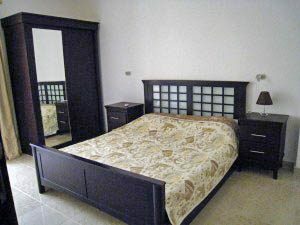 In the always sunny Hurghada we rent a new luxury apartment with large swimming pool and stunning views on the Red Sea. 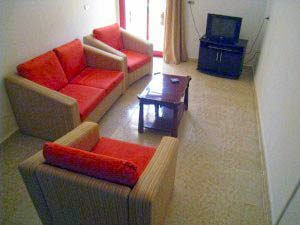 The spacious apartment ​100 m2 large and is including a living room, modern kitchen, 2 bedrooms, bathroom and a spacious balcony overlooking the Red Sea. 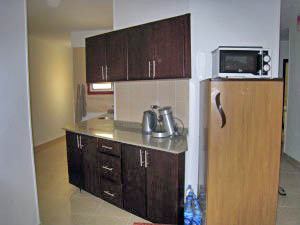 Also the apartment is equipped with every luxury (air conditioning in living room and bedrooms, dishwasher and TV + DVD). The apartment is suitable for max. 4 people. The apartment is only 10 min. from the center of Hurghada (Dahar), where many shops, restaurants and entertainment venues are located. The beach is within walking distance and the airport is 15 km drive. The Red Sea View Resort has a large swimming pool with sun beds and a landscaped garden with a children’s playground. Furthermore the Red Sea View Resort has a bar and restaurant. The price includes cleaning, water and electricity. Please note that a deposit of € 50 is required upon arrival. 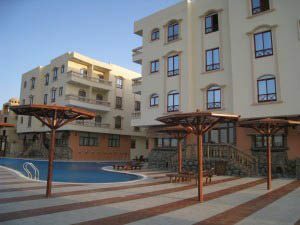 We also offer apartments for rent in and around our dive center (Dahar, the old center of Hurghada). Each apartment costs € 25 per night (max. 4 pers. 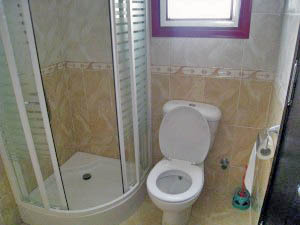 Per apartment). We offer this service for people who prefer not to spend their holidays in a hotel for families who want more space for their children and for divers to avoid the long transfers from hotels further away. Each apartment (75m2) has 2 large bedrooms (complete with linens, blankets and towels), a living room, a kitchen( equiped with coffee maker, toaster, kettle) and a bathroom with shower and toilet. Furthermore each apartment is equipped with air conditioning and digital TV. 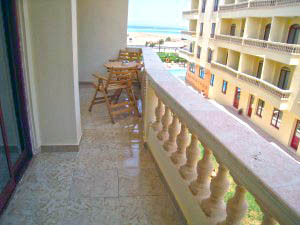 From the roof terrace there is a beautiful view of the Red Sea! On request we offer the transfer to and from Hurghada airport.